A day out in the Dutch city of Utrecht. The trip was actually back in 2013 but it is still worth showing the odd image from that venture. Utrecht has a population of about 345000 people. The city is the capital and and also the biggest city of the Dutch province of Utrecht. They also have a university. The city combines modern times with quite a lot of history; the city center is still well preserved and visitors can enjoy themselves wandering about in a historic city centre. Utrecht has canals as many historic Dutch cities have. Utrecht is a pulsating city and it is a young city and good place to go, because there are so many young people there. Use Google Maps to look up the place on the map and plan your trip to Utrecht. The city comes across as rather religious, considering a plethora of churches that are open to visitors. On the right you can see the tower of Utrecht cathedral. The tower is that big that it is rather difficult taking a good shot of the monumental structure. The gothic cathedral was build from 1254 replacing the former roman cathedral. The church was never completed and also the tower was never built up to the planned hight. Still, the cathedral is rather impressive, the building to open to visitors and worth stay there for a while to take in the impressive structure of the building and, for the visitor, it is worthwile to sit down in the church and to reflect on question of life. Below you can see a couple of images of the garden besides the cathedral with is also recommended to be visited; and also there are some impressions from around the cathedral. 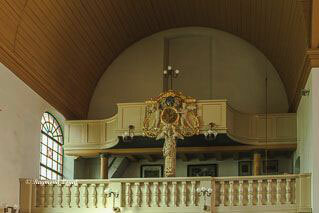 On the left you can see the interior of a Lutheran church near the city centre, whith is open to visitors. The church shows no splendour allowing the worshipper to worship without any distracttion. 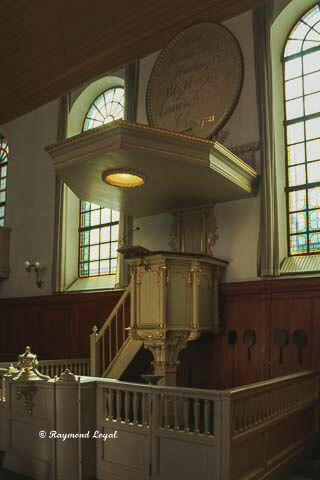 In the following images you can also see the pulpit. The following pics show the Oude Gracht, the main canal in Utrecht and also many other impressions of the city centre. Utrecht is full of people at any time, the city is full of life, which can be seen in the pics.